Mumbai rains LIVE Updates: Parts of Maharashtra and its capital Mumbai are set to receive heavy rains today, according to India Meteorological Department (IMD). As per the latest reports heavy shower has been lashing the city since early morning and water-logging is being witnessed in Postal Colony in Chembur East and other areas. 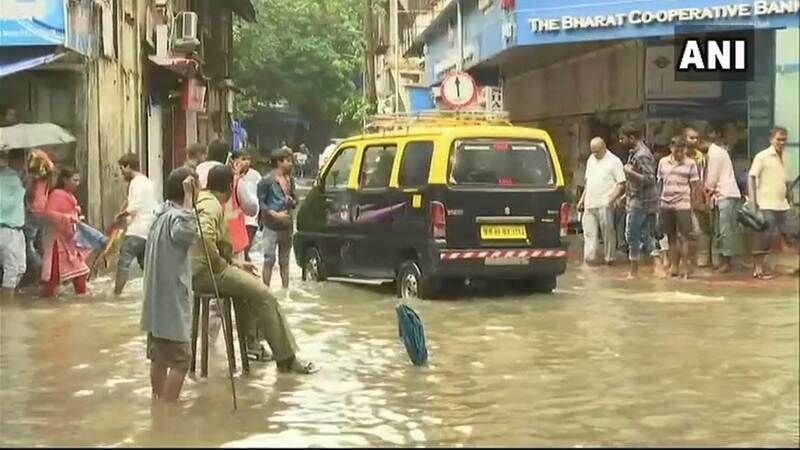 Mumbai rains LIVE Updates: Parts of Maharashtra and its capital Mumbai are receiving heavy rains today, according to India Meteorological Department (IMD). As per the latest reports heavy shower has been lashing the city since early morning and water-logging is being witnessed in Postal Colony in Chembur East and other areas. In its report, IMD had predicted heavy rain will lash “south Madhya Maharashtra”. Earlier in its city-wise forecast, the weather agency said it will be generally cloudy sky and heavy rain will lash India’s financial capital. The maximum temperature in the city will be 29 degree Celsius and minimum temperature will be 23 degree Celsius. Mumbai Police is actively giving traffic updates for various parts of Mumbai. Traffic in South, North and Central Mumbai has been heavily affected due to waterlogging. On the WR, the downpour had dislocated train movement due to heavy rains in south Gujarat and north-west Maharashtra, but services were restored (after nearly 90 minutes) with severe speed restrictions by 9.10 a.m. on Monday. WR General Manager A.K. Gupta left for the affected track sites between Bhilad-Sanjan (south Gujarat), even as several mail and express trains bound for Mumbai and from Mumbai to various destinations like Gujarat and Delhi, were delayed at various points en route. There was flooding in several areas like Chunabhatti, Wadala, Dadar, Malad, Kurla, Gamdevi, Santacruc-Chembur Link Road and other places hitting traffic movement severely and delaying school buses transporting kids to their schools. The Mumbai morning peak road traffic was badly hit as waterlogging was reported in some parts of the Eastern and Western Express Highways (EEH-WEH), main and arterial roads and many low-lying areas of the city and suburbs and traffic to and from adjoining Thane, Palghar and Raigad districts. Visuals of water-logging from Mumbai's Matunga East area. "The showers are heavy but so is our ‘bandobast’ on the streets to ‘be there’ for Mumbaikars. We are #AlwaysUpForDuty to help you reach your destination with a little care & caution from you during your journe," Mumbai police posted on Twitter. While roads in Dadar, Hindmata, Kurla, Santacruz Chembur Link Road, Mithi River bridge in Kurla and Kalina are flooded with water, railway tracks at Sion, Thane stations on the Central Railway line are water-logged. Accoridng to reports, trains on the Western Railway are running 15 minutes late. As per Skymet weather agency report, the city has witnessed over 200 mm of rainfall in last 24 hours starting from 8.30 am on Sunday. Santa Cruz has received 231 mm rainfall. The official said that under the influence of these meteorological conditions, isolated heavy to very heavy rain over Konkan and Goa and isolated heavy rainfall over Gujarat region, central Maharashtra, Marathwada, coastal Karnataka and Kerala is very likely on Day 1, which was Sunday "The intensity of rainfall is expected to decrease from Monday and only South Gujarat, Konkan and Goa may experience isolated heavy rainfall," the official said. "Synoptic analysis indicates that the offshore trough at mean sea level runs from south Gujarat coast to Kerala coast. A cyclonic circulation lies over south Konkan and its neighbourhood and another cyclonic circulation lies over north Konkan and adjoining south Gujarat," the IMD official said. On Sunday, incessant rains occurred in Mumbai and suburban Malad (west) recorded the highest amount of rainfall at 110.80 mm between 8:30am and 4:30pm. 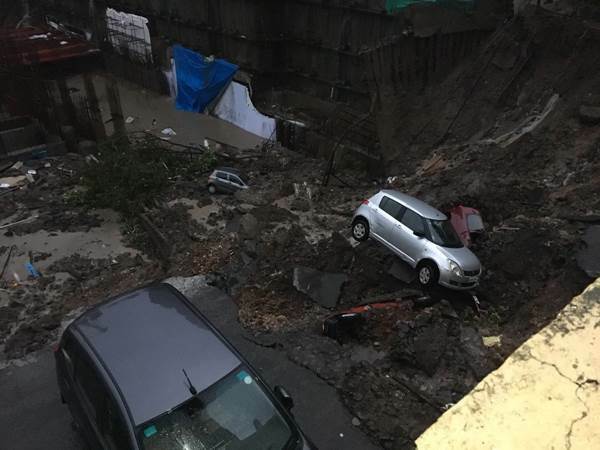 Other areas like Powai received 77.80 mm of rainfall, and Mulund (west) received 76 mm rainfall, during the same period stood second and third respectively, an IMD official said. Coastal areas of the city like Colaba, Mazgaon and Worli received less rainfall in comparison, he added.